For my husband’s birthday I usually make him a pumpkin pie instead of a cake, since he considers pumpkin pie the best dessert ever created. 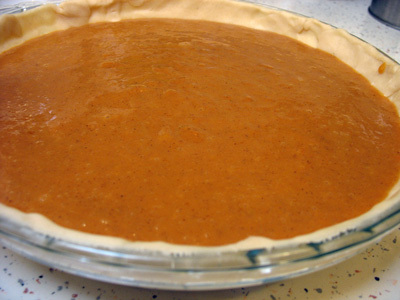 I was an expert at making a creamy, melt-in-your mouth pumpkin pie. Now that eating anything made with 12 ounces of condensed milk is out of the question for me, I thought I would take a shot at making it lactose intolerant friendly. There are a bunch of dairy free pumpkin pie recipes out there, but I think you’ll find mine particularly tasty. 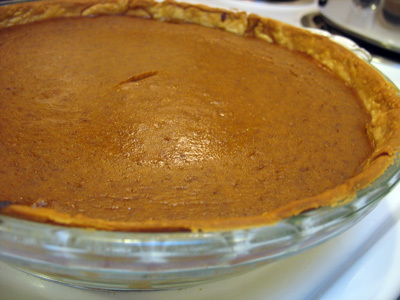 If you enjoy coconut, take a look at my coconut milk pumpkin pie recipe as well! 2. 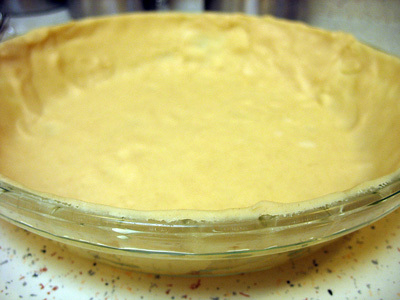 Mold the pie crust into a pie dish and trim excess dough from the edges. 3. 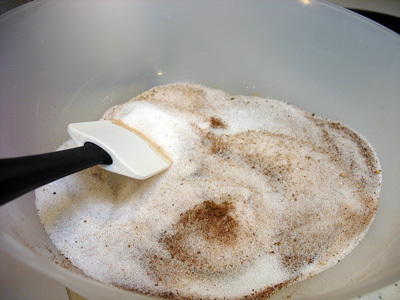 Mix sugar, salt, and spices in a small bowl until thoroughly blended. 4. In a large bowl, beat eggs and egg white. Stir in the pumpkin and then the sugar and spice mixture. 5. Gradually add Very Vanilla Soymilk and stir until completely blended. Pour into pie crust. 6. Bake for 15 minutes to set a crispy crust, then lower the temperature to 350 degrees Fahrenheit and bake for 40 minutes. To check if the pie is done, stick a knife through the middle and see if it comes up clean. 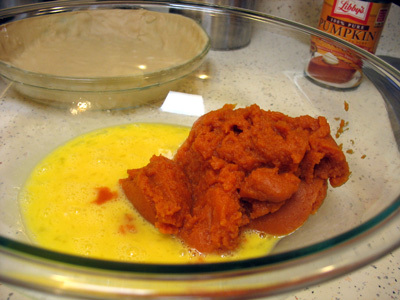 If there is a layer of pumpkin on it, you may need to bake for an additional 5-10 minutes. Serve with dairy-free vanilla ice cream if you want to go all out. Happy Fall!